Shop online for over 7,800 model railroad buildings at discounts up to 63%. 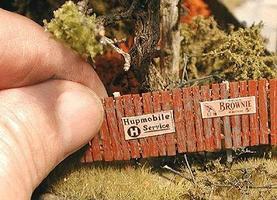 HO Scale is the most popular of the 11 model railroad buildings categories, then Accessories - HO Scale, and N Scale. 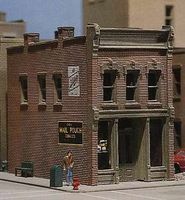 Walthers is ranked #1 out of 118 model railroad buildings manufacturers, followed by Woodland Scenics, and Faller Gmbh. 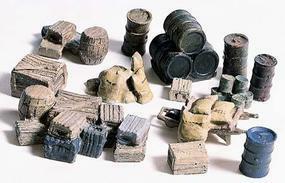 This is the HO Scale Merchant's Row I - Kit - 11 x 5 x 4'' from Walthers. 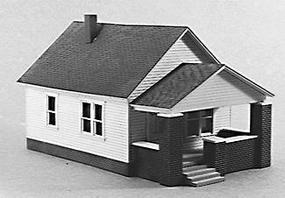 This is the 1-Story House w/Front Porch in HO Scale by Rix Products. This is the HO Scale Oil Loading Platform - Kit - 7 x 13/16'' from Walthers. This is the William's Country Store Kit Model Railroad Building N Scale From Life-Like Trains. The Atlas Signal Tower is sometime referred to as an interlocking tower. This tower resembles hundreds of signal towers having two features in common; the comparatively closed-up ground floor housing banks of track circuit relays, and the wide-open second story with its rows of switch control levers. This is the Belvedere Downtown Hotel Kit Model Train Building in HO Scale by Life Like. This Cathedral is a Snap-Fit O Scale Plastic Assembly Kit from Bachmann's Plasticville, USA. Easy Assembly for Ages 8 and Older. 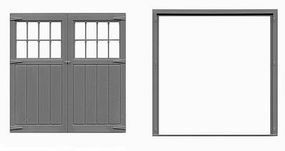 This is the G Scale Sheet Clapboard Siding 2 Pack from JTT Scenery Products. Suitable for Ages 14 & Older. This is the Stock Pen Snap Loc(R) Kit Snap-Loc Model Train Building HO Scale from Life-Like Trains. This is the HO Scale Kim's Classic American Home Kit from Atlas. 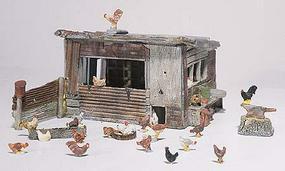 This is the N Scale Fresh Market Pre-Fab Building Kit by Woodland Scenics. Model the local flavor of a bustling downtown layout. The Fresh Market presents a vintage store ready to tell the story of an era steeped in culinary tradition...a family bakery, father/son butcher shop or recreate another hometown taste. . Colors may vary from actual product.